Is common in the plains, but does not occur on the hills. 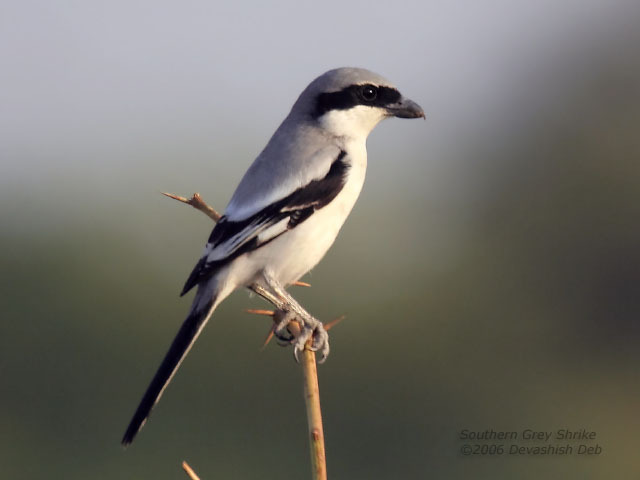 I saw one of these Shrikes once catch a small field mouse and impale him on the thorn of a euphorbia underparts uppermost. Shortly afterwards I visited the place and found the eyes and half of the body eaten, the remainder being left, I suppose, for another meal (EA Butler-1875). Copyright © 2006-2010 birdpoints. All rights reserved.